You can adjust properties of a PDF Underlay after it has been attached. 1. Left click on the PDF graphic anywhere and you will see the dialog box below. 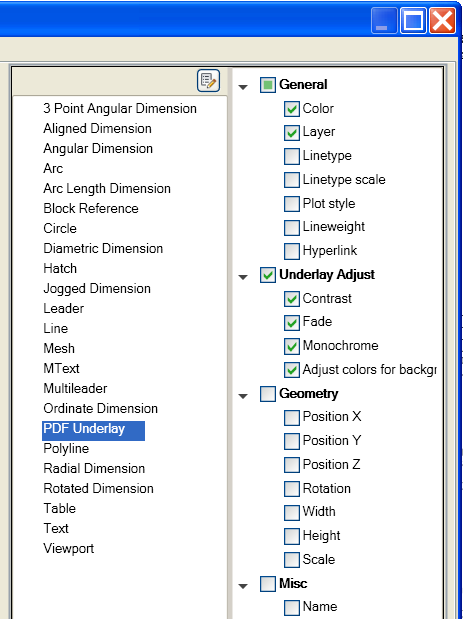 Is shows you that you have selected the PDF Underlay and allows you to change a few properties. 3. 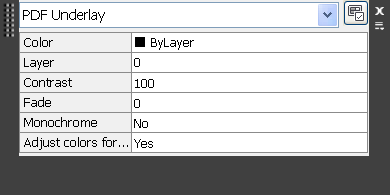 You will get another dialog box that allows you to select what is displayed in the fist dialog. Add some – like I do here for Underlay Adjust. 4. Once you save the options they will show up the next time.